Indore’s residential real estate sector has something to rejoice about. For the first time ever, the number of property registrations have been more than 95,000 and this number is expected to cross one lakh soon This has been confirmed by Madhya Pradesh’s largest city’s local stamp and registrar department and there are still a few more days left for the financial year to end. There was a 10 percent growth in the number of property registrations thanks to the increasing popularity of affordable housing among buyers. Despite all the good news, the office of the stamp and registrar department won’t be able to fulfill its target of earning Rs 1,340 crore. This news was further confirmed by senior district registrar BK More. According to More, there has been a huge growth in property registrations recently. “The department is anticipating a good collection by March 31 with total revenue collection crossing Rs 1,100 crore,” More added. 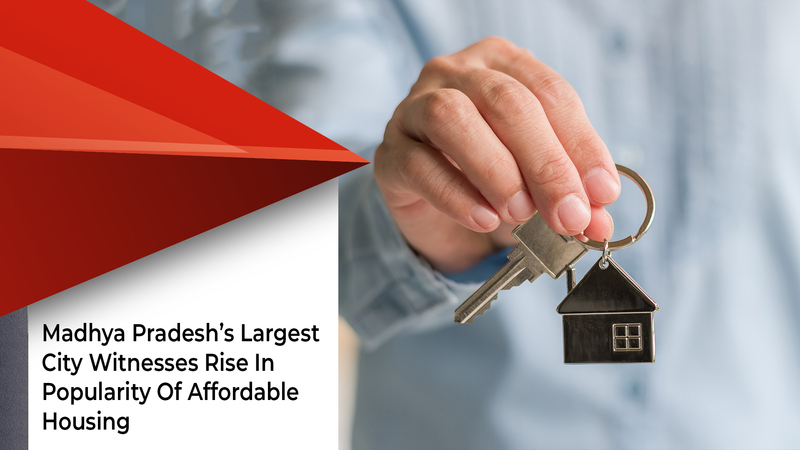 The Indore chapter president of CREDAI (Confederation of Real Estate Developers of India) Naveen Mehta revealed the reasons for the sudden rise in property registrations in the city. Eligible buyers are being granted subsidy of up to Rs 2.60 lakh under Credit-Linked Subsidy Scheme (CLSS). Even the recent GST (Goods and Services Tax) cut by the GST Council, which will become operational from 1 April, has made homebuyers more confident and more outgoing. Naveen said, “The growing demands in the segment has drawn attention of realtors, who have shifted focus on small-sized houses and plots ranging between Rs 6 lakh and 40 lakh.” Naveen added that the Pradhan Mantri Awas Yojana (PMAY) scheme, which aims to provide homes to all Indian citizens by 2022, is also a catalyst. There is a wave of enthusiasm among homebuyers and affordable housing is growing in popularity by the day. It is slated to remain popular till at least the next four years.